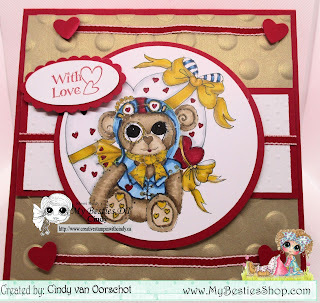 Hi Everyone, I have this card, which I have used an image from My Besties, and is a Steampunk Valentine Bear I have used copics to color the bear and then made a card with it. I have used Red, God and White card stock, embossed using We are Memory Keepers Embossing folder on the gold and Stampin Up Embossing folder on the white. using polka dots. I have followed the sketch on Outlaws challenge and have used hearts and ribbon to accent the card. the greeting is from a Bentley bear stamp set I got free in a magazine quite some time ago. 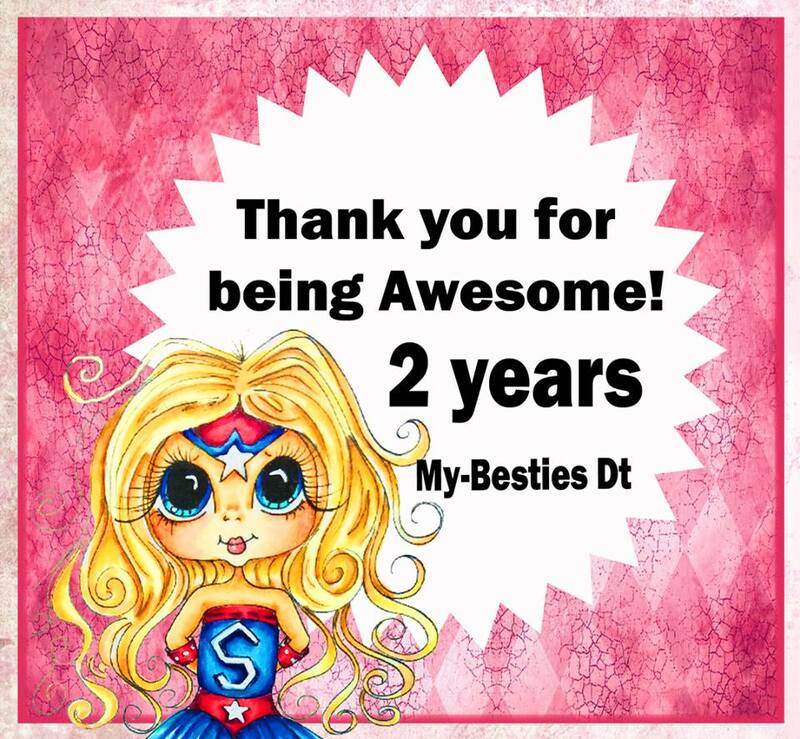 Hermosa tarjeta gracias por participar con nosotras en My Besties Spanish Challenge Blog. This is so incredibly cute ! 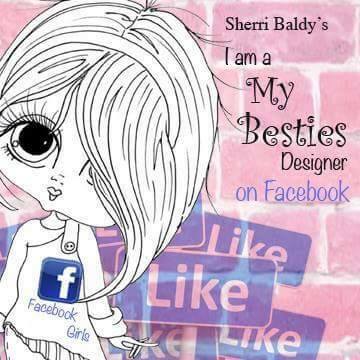 Thank you so much for joining us at My Bestie Spanish Challenge Blog. Lovely creation. Thanks for entering Lil Patch of Crafty Friends... Also a BIG congratulations as your our Winner for C#94 please check out post for details you have until Wed 12 my time to make contact, so thanks again for participating.